With an intelligently crafted plot, the Man of Steel successfully set itself apart from other Superman movies. Instead of giving emphasis on his being a superhero, it focused more on the personal struggles of Clark Kent as he tries to adapt to the human world and as he unveils the realism behind his real personality. Many of us might think that the Man of Steel is merely an ordinary superhero movie with villains here and there and that the star would be saving people who are in trouble wherever they are. But, no. This is an extraordinary twist on the epic Superman. Yes, he is the same man in red cape and blue suit but in this film, you will get to know Kal-El or Clark Kent deeply which will make you love his personality. An article in Time Entertainment has even mentioned that “The super part of Man of Steel is just O.K. ; but the man part is super.” This is indeed true. You would see Clark Kent’s good disposition despite his godly powers. But when General Zod found him on Earth and Kal-El fought for the Earthlings, this is the part where we have seen the “super” in him especially on astounding and jaw-dropping fight scenes. But this isn’t just about entertainment or being a Superman fanatic. There is more that we can seize from the film and we are going to show you just that today. We will go beyond entertainment and look at Man of Steel as a movie that could affect lives and change lives. If you look closely and discern thoughtfully every single scene in it, you would end up realizing that there is so much more to this film than just being “super”. And that is exactly what we will show you now. Let us try to look into what lessons this movie can give for freelance designers. We tried to ponder on certain scenes in the movie and this is what we came up with. When Clark Kent finally met his father, Jor-El, he was encouraged to get out of his nutshell and to do something for the Earthlings. After a conversation with his Kryptonian father, he then tried to learn flying while wearing his cool Superman suit. It was a struggle for him to do that. He even fell a couple of times and left cracks on the mountains he bumped on. Well, even those with supernatural powers need practice. How much more for human beings like us? So, practice your designs unceasingly. Even if you are already good at it, consider doing some practice during times when you do not have much projects to do. This will sharpen your skills even more and will also help you to learn new techniques for design. In the end, you will be able to fly high without falling. 2. Learn from a mentor. 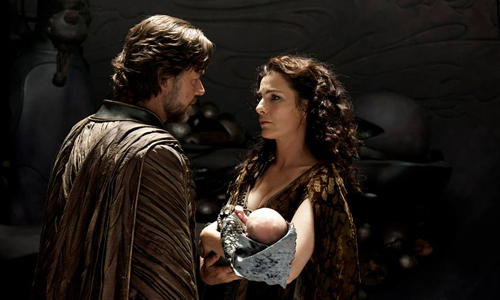 Imagine how hard it would be for Kal-El if Jor-El wasn’t there to guide him in every step of the way. Imagine how difficult it would be for Clark Kent to adapt to the human world without his foster parents. Yes, all of us need a mentor because no one was born with developed intelligence and skills- all these needs to be cultivated and improved through time and it can be totally possible with a mentor. So do not hesitate to ask help and tips from others when you need it because even the super needed a mentor, and so do you. 3. Failure leads to success. Why do we say so? We have mentioned about the part when Kal-El practiced flying. Apart from the practice makes perfect thing, we can also learn another valuable lesson from it. Yes, in order to succeed, you have to undergo failure because if not, you will not be able to greatly appreciate the sweetness of success. When Kal-El fell to the ground, he was inspired by the words of his father and instead of giving up, he decided to master the skill of flying and he succeeded. You should also be like this. If you experience failures in getting a freelance job or in making your designs, don’t quit. Consider it as a challenge because if you will, you will be able to succeed. 4. Learn to deal with people. Even if Clark Kent was not a human being and was even referred as “alien” in the film, he knows how to deal with the people around him. He was good around people. Well, his attitude was actually better than other people. The scene in a local bar where he tried to defend a girl shows us that he faced the men with integrity. Instead of beating them which we know he could do, he left the place and went outside. Well, what he did with the man’s truck was his form of revenge. At least, he did not hurt anyone. But he also did not let the man think that what he did was okay. Hence, you should be like Clark Kent in dealing with people. Clients can be hard sometimes but you should not be as fired up as they are. Instead, control your anger and compose yourself. There has to be a better way to show them that they are wrong. The scene I mentioned here shows that we should know when to act and when to stay silent in dealing with people. Another good lesson that we can get from the film is to stay humble. 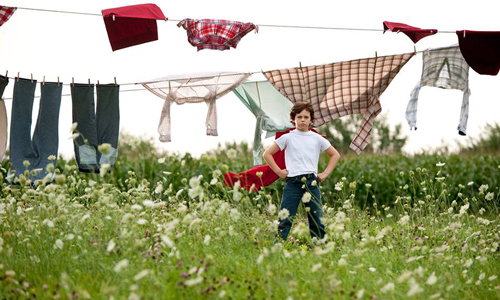 Clark lived a simple country life despite his powers. He did not use it to lift himself above others. He did not brag about it too. General Zod displayed the opposite of humility because he looked at himself as someone who is above the rest. He wants all the power in order to take over their planet. Even when their planet was gone, he still tried to get Kal-El to bring back their planet for him to rule. But look at what pride and hunger for power did to General Zod and his companions. As a freelance designer, you have to stay humble even if you succeed. Learn to always put your feet on the ground no matter how high you have flown. When Clark took a job as a stringer, he also showed another good example of humility. As a kid, Clark found it hard to keep his powers. In a conversation with Lois Lane, he said, “My father believed that if the world found out who I really was they’d reject me out of fear. He was convinced that the world wasn’t ready. “ Clark trusted his father that he needed to wait before revealing his real identity to the people. He respected that. His father even died because of that respect. He could have saved Jonathan Kent but then he was told to stop so that the people around them will not be able to see what he can do. Patience is an important lesson. Freelancers also need to be patient all the time especially in dealing with client, hunting for jobs, and even in working on your designs. People who are patient reap the good fruit in the end as a reward of their patience. We all know that Clark can do a lot of great things but he did not use it anytime and anywhere. He used it rightly. He used it to save the world. He also did not boast about it. That should also be the same as freelancers. Skills have to be used rightly. It has to be used for a good purpose and not on bad causes. It is important that you work by good principle because that is one way of keeping a good reputation as a freelance designer. 9. Do not justify a bad action with a good cause. In a fight scene, General Zod said to Kal-El, “No matter how violent, every action I take is for the greater good of my people.” He had a good reason for his actions but his actions are not good at all. This should be applied in every business transaction you are doing. Do not ever engage in actions and tasks that might risk your reputation as a freelance designer. That includes not being original by copying the works of others or using resources and images without credit. 10. Anyone can acquire skills. With Clark Kent’s powers, he can do a lot which includes saving the world but he is not the only one who has skills. In the movie, we can see the power from Faora, the female villain who have shown the stronger side of a woman and who even did a great job in the fight scenes. This shows us that anyone can acquire skills. Females are regarded weaker than males but in this movie, you can see that females are as equally strong. Even the role of Lois Lane as a journalist was super because she ended up discovering the real personality of Clark Kent through research and she also managed to help Clark in saving the world. Yes, anyone can be good in a certain field with determination and willingness to learn. So, if you want to be a designer or a freelancer, then do it. Do not hesitate to work hard and learn. Look at what Lois Lane was able to do in the movie even if she knew she has limits. If you try to go beyond your limits, you can certainly acquire the skills you want and eventually succeed. Aside from the lessons this film can give for freelancers, there are also some valuable points we can get for design. Well, amazingly, we can really get a lot from this movie! Check out what these design points are. One thing that marked in our minds from the movie is the meaning of the logo which we all look as “Super Man”. 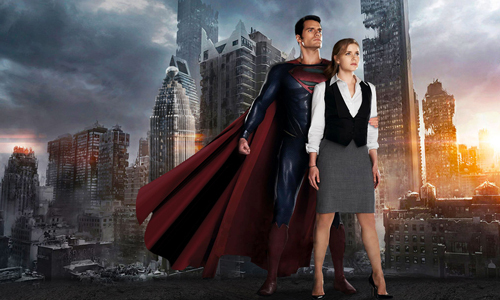 But in this film Clark said that, “It’s not an S. On my world it means hope.” Lois Lane responded, “Well, here, it’s an S. How about Super…” The meaning of the logo differed from the point of view of Lois and Clark. This shows us that a brand could be interpreted differently by the audience. That is why, it important that in creating a logo and other parts of branding, it has to be clear and simple to avoid misinterpretation. Also, this shows us the veracity that a logo always tells us something more than what we can merely see. Logo designs have their own stories behind them and each stroke and color could also have a meaning for the company or creator. Many of us noticed the change of Clark’s suit. It was a modernized design suited to the current trends. The red underpants, red boots and yellow belt were no longer used. Tracing back history, those elements were derived from a showman’s costume or a circus outfit that “emphasize the performative, even freak-show-esque, aspect of Superman’s adventures” according to the book Super Gods by Grant Morrison. The suit was also like the wardrobe in the latest release of DC Comics’ New 52 reboot. 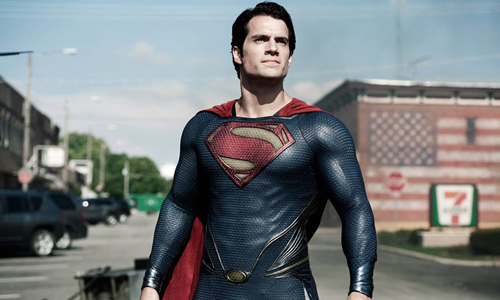 The classic design of Superman’s suit would still be accepted by many but the new design made it look totally “in”. In designing, it is important that we catch up with the trends because if not, yours would look classic and might not be accepted by some with open arms. Trend is important in design which is also another reason why redesign is done in logos and even in websites. We are all aware that colors deliver different messages. With that, costume designers Jim Acheson or Michael Wilkinson opted to use darker and moodier tones in high-tech mesh material. The darker shade made Clark look more invincible, mystique, stronger and it also allowed him to show more integrity. It looked more super than the colorful classic version. The look of the new Clark will make us look up at him even more. In working on your designs, always consider the colors to use because it has a great impact to your project. Each color conveys a different message to the audience. Make sure to pick the right color and a good color combination too for it completes a good design. Another design lesson that we can get is being consistent. The costume used by the people in Krypton has something in common. They were designed based on the neo-medieval back story of the planet. You can also notice that the Kryptonians were wearing capes already which were adopted in Kal-El’s suit. The texture of their costumes was also similar and would have the logo S on it as a symbol of hope. This shows consistency in design to create coherence. This is also important in designing anything. There has to be consistency even in branding. Consistency will make your look totally one with the other designs. Like if you are designing a website, make sure that the logo, banner, colors and type used are all the same in everything. When we say design plot, we are talking about the story behind a design because you should not add an element to a design just for the heck of it. There has to be a good reason why it is there. Going back to the costumes, the new wardrobe of Super Man was clearly derived from his home planet because the Kryptonians were wearing similar costume with cape, symbol and similar textures. If you design with a good design backstory, it will make your work look even more and it can also give more value to your design. Man of Steel is indeed a superb movie. Apart from the effects, design and story, it is a film that can give so much lessons and even inspirations to us. Even the father-son relationship and the value of family are integrated in the movie. The romantic side of Lois Lane and Clark Kent were shown in a subtle manner. It was focused on Clark Kent’s being a good person and being a super Kal-El. And yes, like what the female Captain said, I also think he’s kinda hot which is a plus factor in his character. So, if you haven’t watched the movie, why not try seeing it for you might be able to get more lessons from it other than what we have mentioned. Or if you have watched it, let us know what essential points you got from it. Image Credits: ManofSteel fb, Swishost. Cool,good idea connecting your article to the latest superhero who can inspire people. I love the Man of Steel,so no doubt that I will love your post. Nice idea Kareen!You are in a latest update.